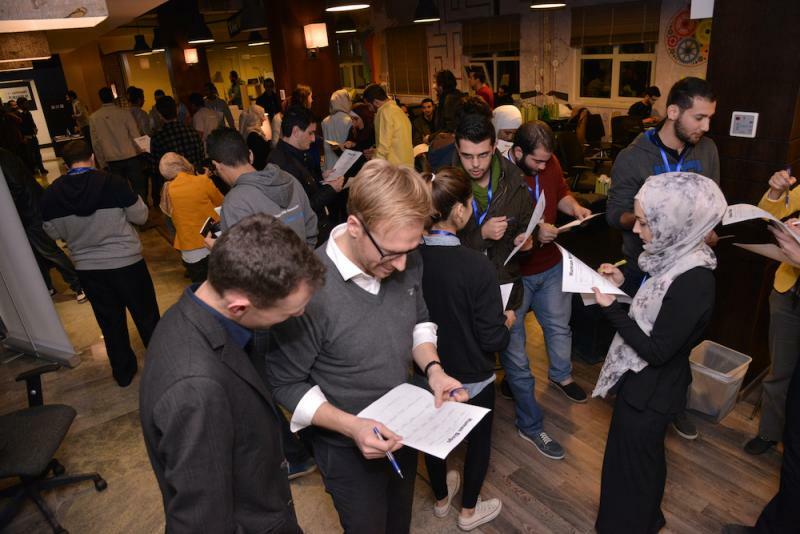 GJU’s Office for Industrial Links organized a Health Hackathon, an event established for the first time in the Middle East region. It is part of the Program Innovation and Entrepreneurship (PIE) activities to help the students gain the knowledge and entrepreneurial skills needed to implement their ideas and support the vision of the University in its “Education for Employment and Entrepreneurship”. Health Hackathon is an event to gather students from different disciplines to work cohesively in different teams and come up with solutions related to health issues that the society faces at low costs, so that all society members would be able to use it, including remote areas and refugee camps. 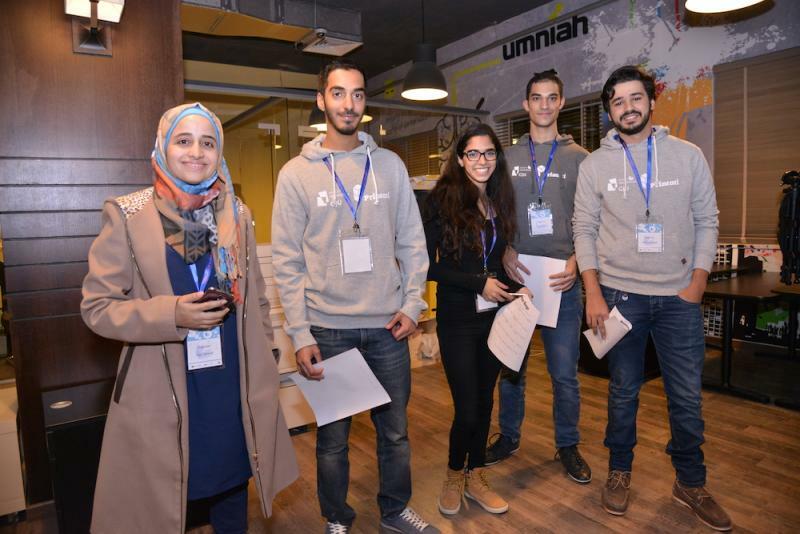 The GJU Health Hackathon took place over the weekend between the 12th and the 14th of November, 2015. 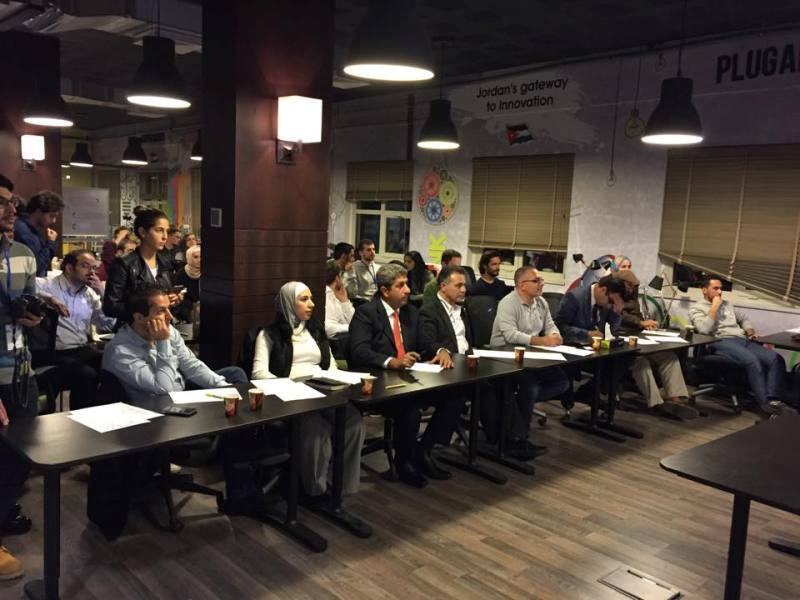 The entire three days took place at The Tank by Umniah at the King Hussein Business Park. 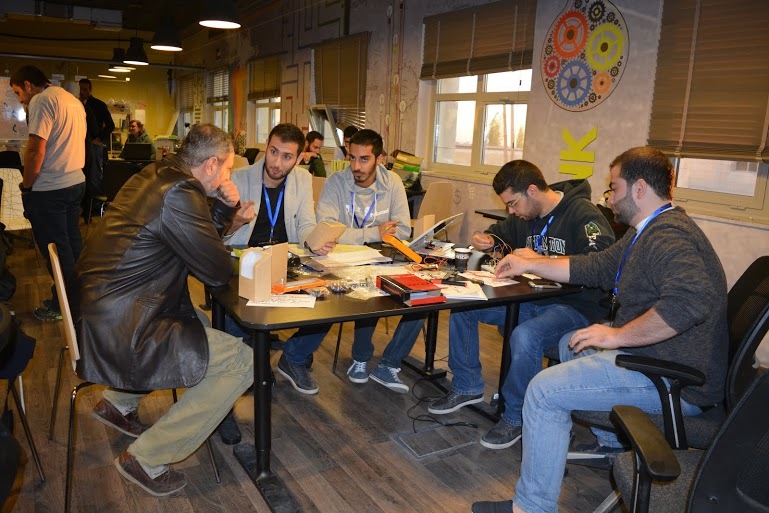 The USAID Jordan Competitiveness Program (JCP), showed their support to innovation in Jordan by sponsoring the electronic development boards and other medical devices that were used by the participants to develop prototypes of their ideas while learning new technologies. The first day was to help the participants to come up with their ideas. The Ideators presented possible challenges and whoever had an idea, wrote it down. Participants then voted on each other's ideas; the ones with the highest 7 votes were the ones that proceeded to the next step. On Friday, the 13th, the participants came in early in the morning, built their teams and split up the work. This day was a complete dash to the participants because they had so much to do in so little time: programming, research, analysis, cohesion, and communication between teams and mentors. 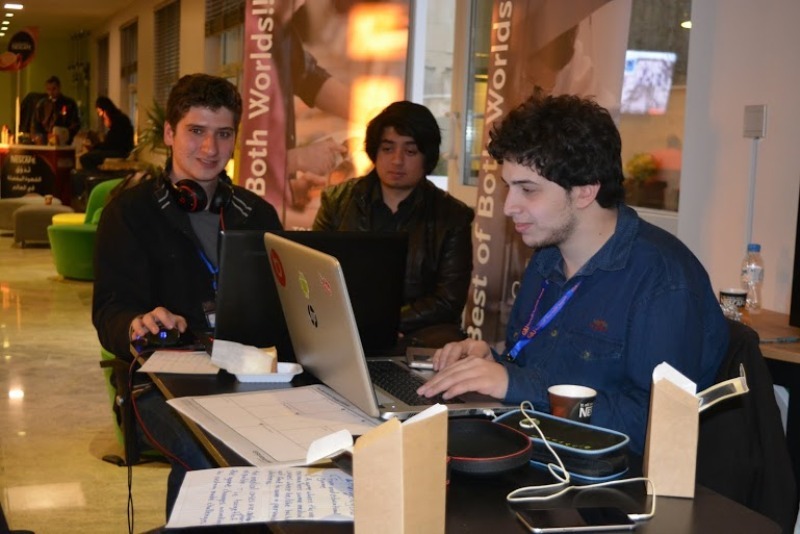 The mentors supported the teams with their valuable experience. Enthusiasm levels were over the roof, and with an unlimited supply of coffee by Nescafe, and daily healthy meals offered by Primrose restaurant, they managed to keep on the energy for development over the continuous 60 hours. The final day, Saturday, the 14th, was the day when the participants pitched their ideas to the judges. The teams were excited to know what the judges will say about their product, and demonstration of the prototypes. As time was getting closer to the deadline, people started running around trying to get the prototype finished. As soon as clock strike 5:00pm, the organizers had announced that the time was up, and the judges had come into the room. The seven teams had to pitch in their ideas within two minutes maximum, and the judges had three minutes to ask the team any questions if the wanted to. Once the seven teams finished their pitching, the seven judges, who were from Oasis500, Altibbi, GJU, USAID-JCP, Hikma, Umniah, and Tamweelcom, gathered in a separate room to sum up their points they each had for each team. Before announcing the winning teams, Mrs. Britta Kähler, Director of the Office for Industrial Links and Eng. Jamil Alkhatib, Manager of PIE, announced the prizes and appreciated the great support they received from the different sponsors and partners: USAID JCP, Hikma, Umniah, Tamweelcom, Jordan Engineers Association, Nescafe, and Primrose as well as Altibbi, Oasis 500, Hello Food, Wamda, and Jordan Open Source Association. They also cherished the enormous efforts of the volunteering students, as well as the Concrete-Entrepreneurial and IT Students Club from GJU since without them, the whole event would not have been made possible. And finally, the winners were announced, from the third place, which was “Save Steps”, to the second place, called “EyeC-Sonar Gloves”, and finally, the first place, called “Isaali” which means "Ask” (a health platform for women). According to the participants, this Hackathon was "A wonderful experience for the future" and they claimed "We will work on this idea to turn it into an actual business! "- "The food was really good." -"The mentors knew what they were doing; we were blessed to have them here!”, summarized: an experience never forgotten. 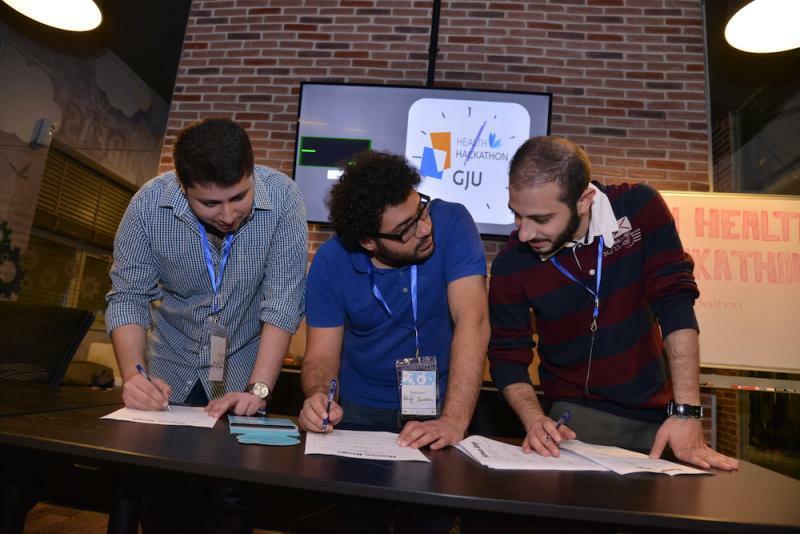 We are looking forward to many more GJU Hackathons to come!